Governor Adams Oshiomhole of Edo state has revealed that the Nigerian National Petroleum Corporation (NNPC) is yet to remit $3.5trillion in the Federal Government coffers between 2012 and 2015. Oshiomhole who is a member of a four-man committee set up to examine the accruals into and withdrawals from the Federation Account and the Excess Crude Account from 2012 to May 2015 stated this after the inauguration of the National Executive Council in Abuja on Monday. Oshimhole said it was the first time the NEC met in which under the instructions of the President, NNPC and the Office of the Accountant General of the Federation were compelled to provide information on issues related to the sales of Nigeria’s crude from 2012 to May 2015. “This has not happened before and for us this is profound – talking about transparency, talking about change. “And what we saw from those numbers, which I believe Nigerians are entitled to know, is that whereas the NNPC claimed to have earned about N8.1 trillion what NNPC paid into the Federation Account in 2012 all through 2015, end of May was N4.3 trillion. “And NNPC withheld and spent N3.5 trillion. 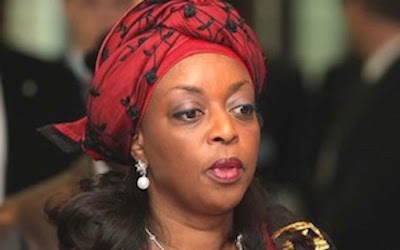 “Which means that the cost of running NNPC is even much more than the cost of running the Federal Government. “That tells you how much, talking about what is missing, what is mismanaged and what is stolen, there are huge numbers here,” Oshiomhole said.